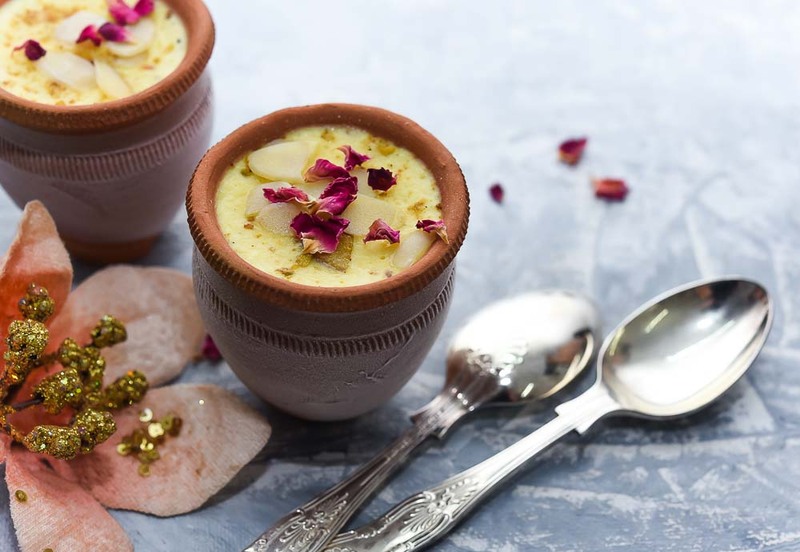 Matka Kulfi is a classy Holi Recipe. It is loved and enjoyed by all. 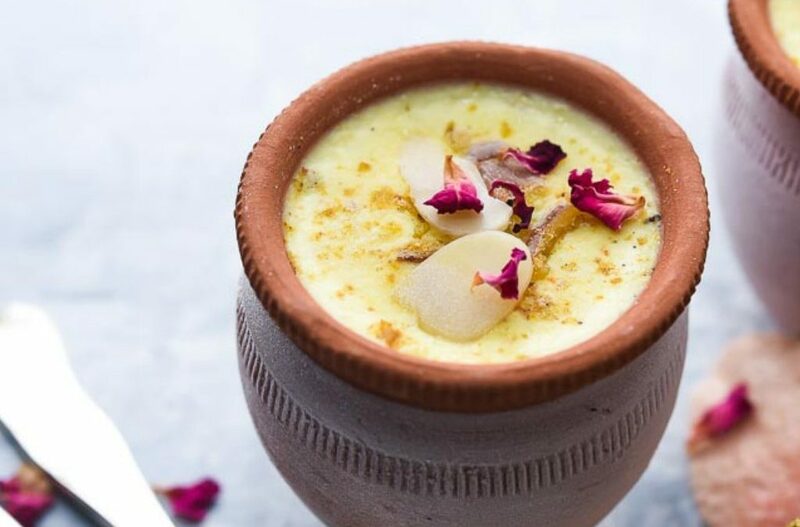 Parents, grandparents or the kids, Matka Kulfi is something they all like to indulge in. It is rich, creamy, yum and has a vibrant festive feel to it. My Dad in law loves all the Desi Authentic Dishes. I keep experimenting with different foods, in my kitchen. And Dad always appreciates, when it’s a recipe that reminds him of his early days. Takes him back to some good memory. 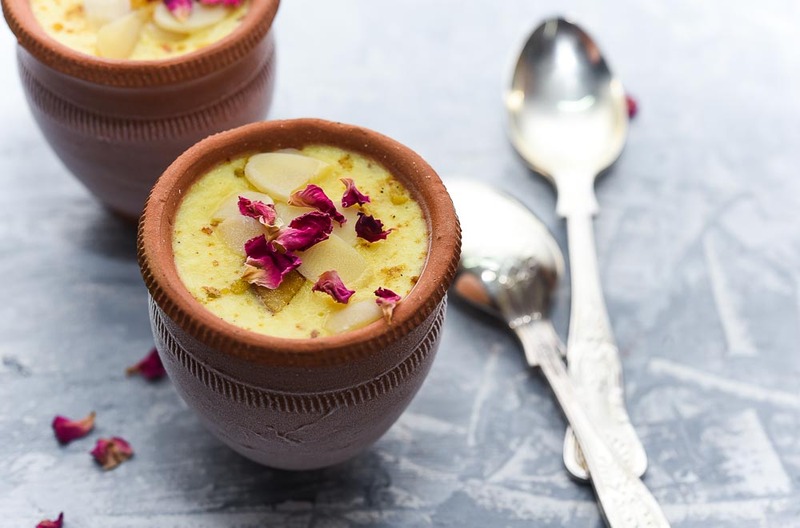 This Matka Kulfi is one of those recipes. And we get to hear all those stories of some, Birla Karera Centre Kulfi, Paji puri wala or some halwai or someone who sold kulfi on this cycle for years. I love to listen to all those stories and it tells me how food is connected to our emotions. This is a recipe that connects many of us to our roots. I have my own version of making this kulfi at home. Because today neither we have that good quality milk nor we have that much patience to reduce the milk for hours to make kulfi. 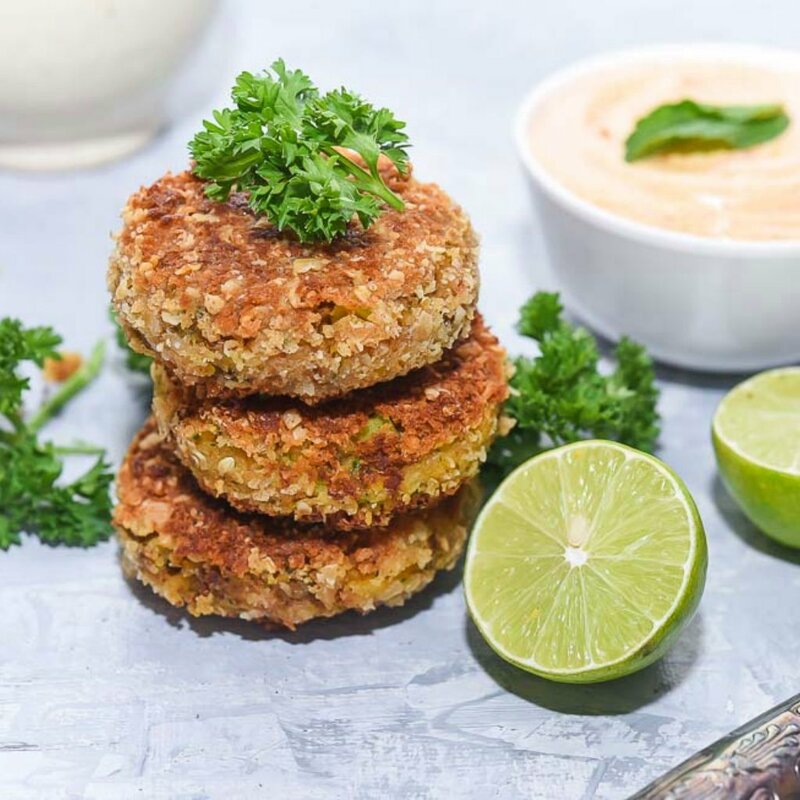 This is my version, easy and quick and taste amazing. 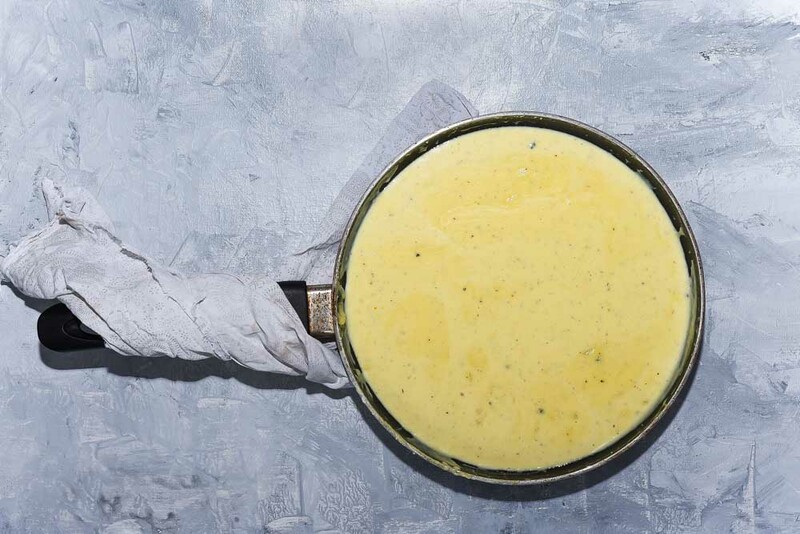 At home, we use cow milk, but a kulfi recipe will call for heavy full-fat milk. So I made a few changes in the original mom’s recipe. 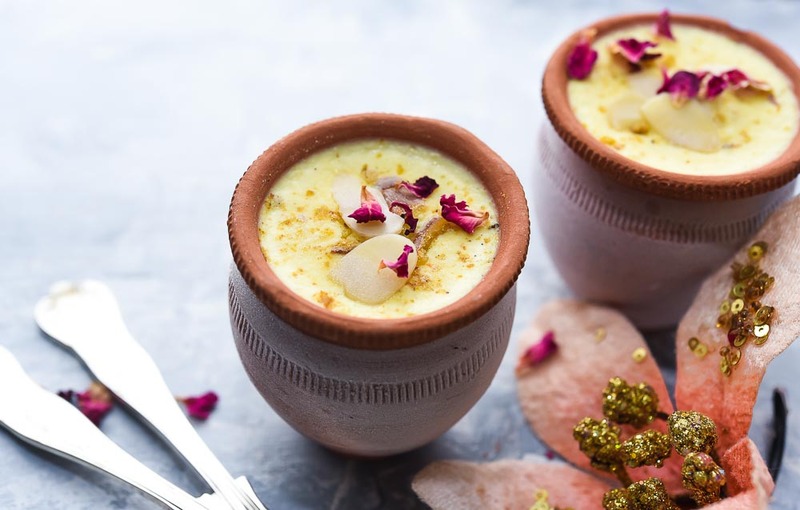 Here are a few points for you to go through before you start to make this Matka Kulfi at home. You will need a heavy bottomed cooking pan. Because as the milk is heated for longer it starts to stick to the bottom of the pan and start to burn. Which will result in a strong smoky burnt flavour in the final result? It is very important that you keep stirring the kulfi, during cooking time. I have added cream and condensed milk along with milk in the recipe, to speed up the process. For making this Matka Kulfi Amul cream which is easily available in the market will work. 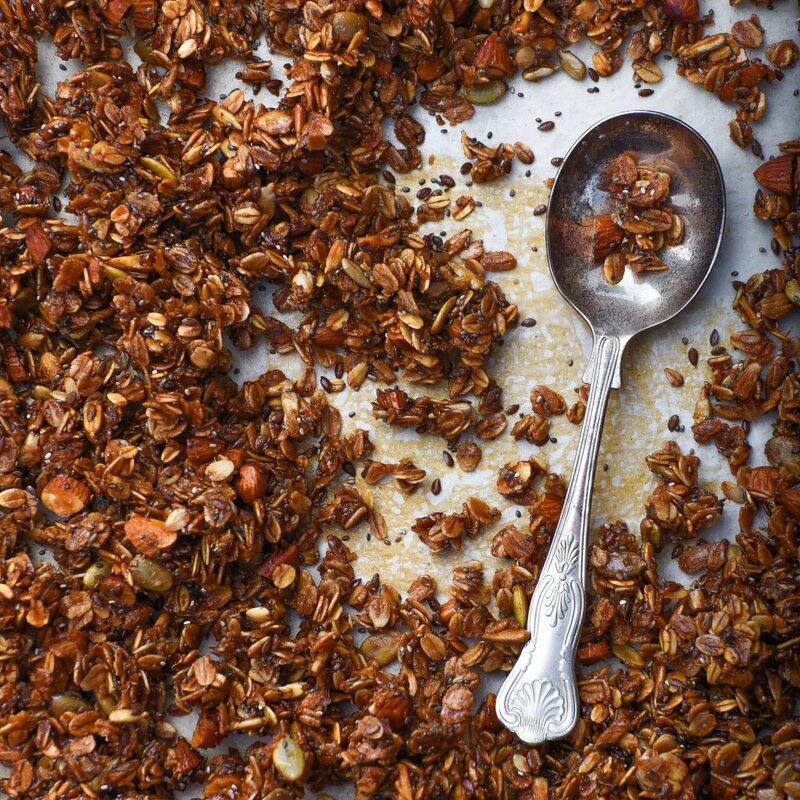 There is a paste of blanched almonds, cashew nuts, pistachio, cardamoms seeds and black peppers in the recipe. 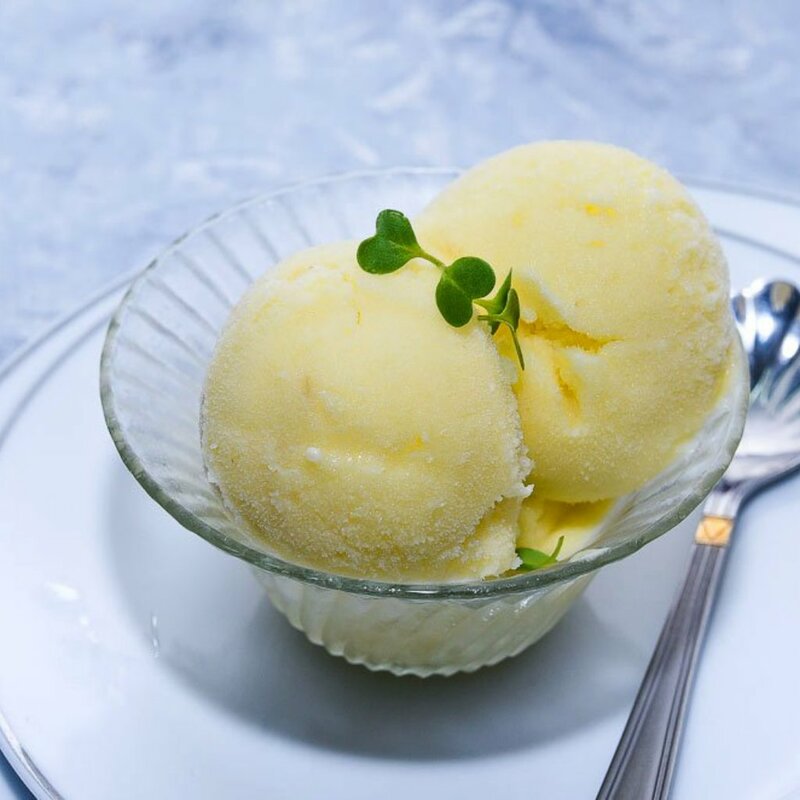 It provides texture and the flavour to the kulfi. There is a prominent saffron flavour in my kulfi. Which gives a fantastic festive feel. I have used saffron strands and Ossoro Saffron flavour too. 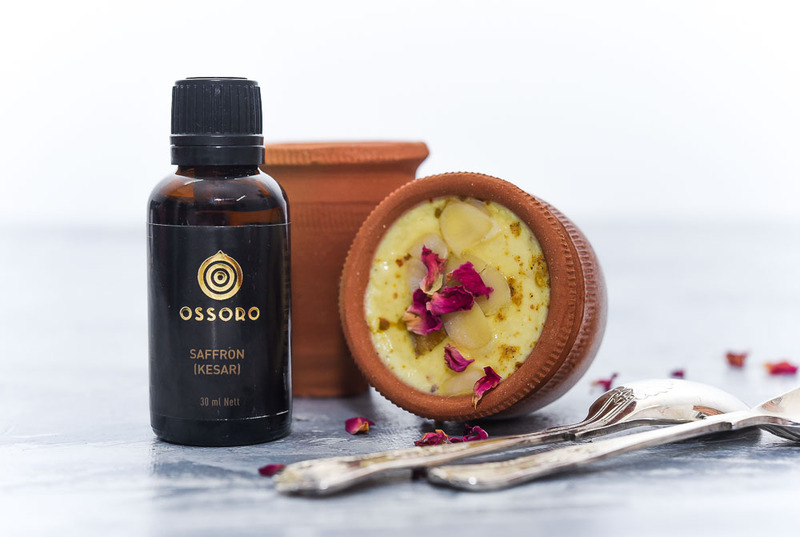 Ossoro gave a beautifully balanced saffron flavour to the kulfi. 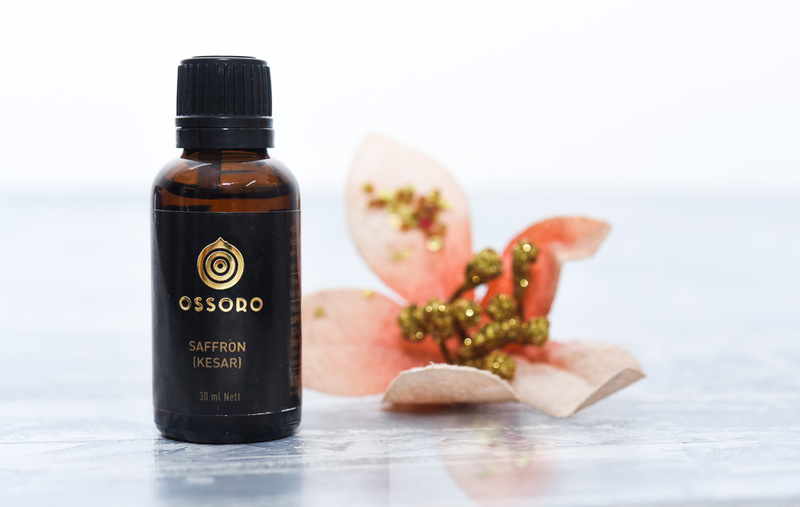 Ossoro Saffron (Kesar), 30 ml Thank to Ossoro for making kitchen life easy. The number of flavours they have is amazing. And now they have introduced more flavours to the site. From bondi ladoo to gajar ka halwa, blue curaçao and charcoal, creamy toffee and golden butter. The list is long and the flavours are amazing. I have used Clay Kulfi Pot (Mitti ka Matka) for my kulfi. If you can find these clay pots, I suggest freezing the kulfi in these. 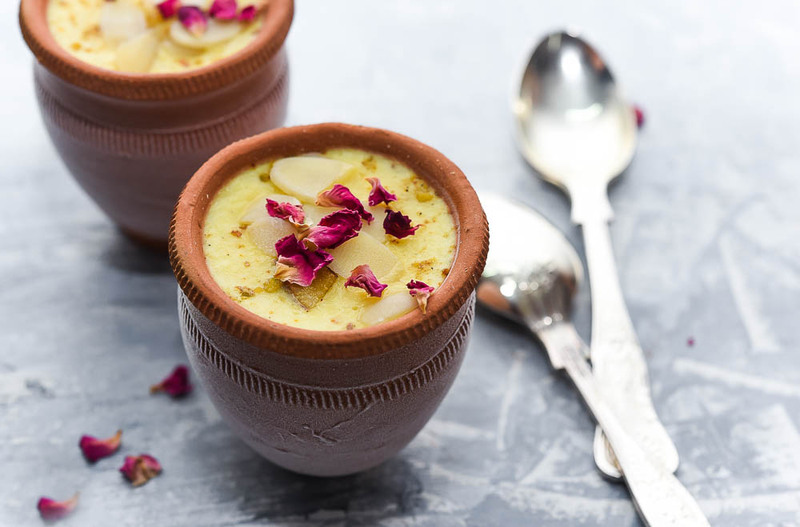 Because the clay pot gives the kulfi an amazing fragrance and will make memories. If you are not able to find these, any container will work. So no stress on that note. In a thick bottomed pan heat the milk along with cream and milk powder. Stir continuously and cook for 15 minutes. Add in condensed milk and cook. Blend together blanched almonds, cashew nuts, pistachio, cardamom seeds, black pepper, saffron strands along with sugar in a blender till its reaches crumbly powder consistency. Add in two tablespoons of milk and blend again till you get a thick paste. Add the paste to the milk and cream mix and cook further for 10 minutes. Keep stirring at regular intervals, to avoid sticking to the bottom of the pan. As the mix thickens, your kulfi id ready. 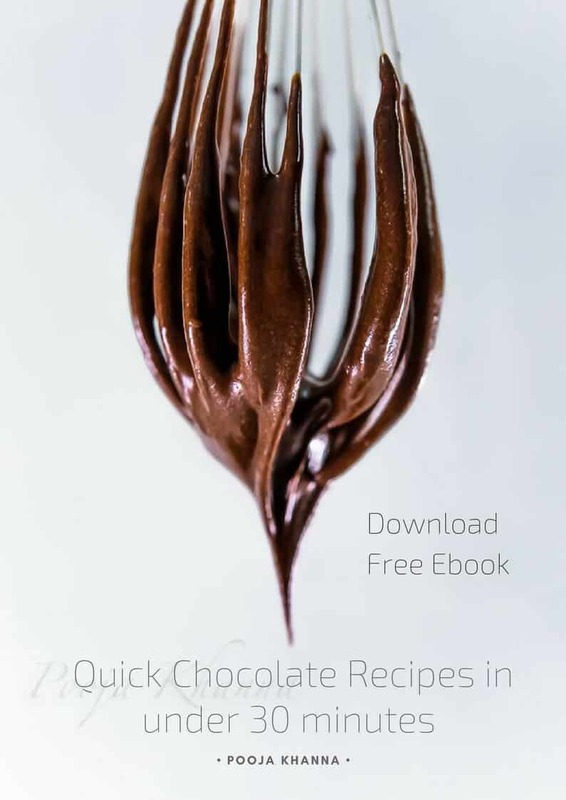 Let it cool on the kitchen counter for 20 – 25 minutes. You will need to stir at regular intervals, even during the cooling time so the prepared kulfi batter does not get any skin on the top. Once the mix is cooled, pour into the clay pots and chill for 5-6 hours. Served chilled and enjoy!